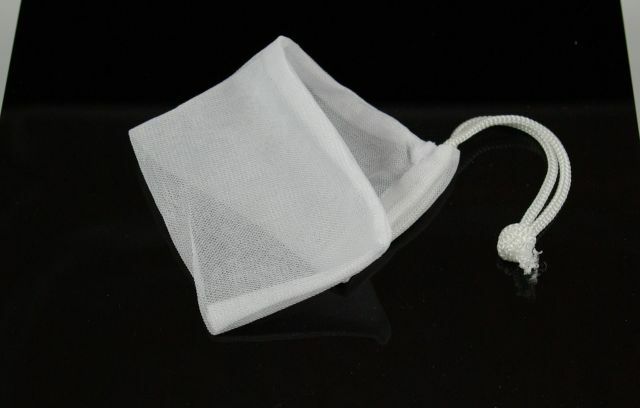 Small Nylon Mesh Bag Discounts Apply ! The bag does hold 1/2 lb of beads but I found it impossible to pull the drawstrings tight enough to keep the beads from coming out. My resolution was to use a zip tie around the neck to seal the bag.